------ The garment factories, garment traders, accessories traders, intermediary traders read me please! [A]. If you may know nothing about hotfix rhinestone and hotfix motif, what is most important to you is to choose a good faith supplier:the best price,the nice quality, the fastest delivery. Choose us, China Yax,it must be your best choice ! [B].If you don't know china custom import and export policy, it does not matter, please contact us. We have experience in importing and exportng goods all over the world.We have the professional answers for your question about any specific requirements of customs inspection of goods worldwide. If you purhcase our goods, we will solve all these problems for you. [C]. If you never transfered the international payments, and worry about how to pay, please contact us. You can pay at your home,just make payments by PAYPAL and you can also use the Western Union, MoneyGram money transfer, or T / T : from your company's account into our account,in order to solve the problem in some countries that don't allow the large amount of funds into individual accounts. [D]. You don't need worry about any problems.You can send your order list, pay the complete funds and you can wait for the goods which will be sent to you directly from the forwarder to your hands. [E].Regarding the quality of goods, we provide 100% commitment:if you are not satisfied with it,we will refund immediately. Due to improper packing of our goods, and resulting in damaging of the goods, we will take full responsibility. 1.Please send us your design with following details, size of design, and the quality standard, color, size of rhinestones. Then we will quote you the best price. If the quotation is acceptable, we will arrange production immediately after getting your payment. When your order is finished, please complete the balance of payment before delivery. 2.You can send your hotfix picture to us and we design and quote for you. Or you can choose our standard motifs, certainly we can modify some details as your request. [E].Warm welcome to long-term cooperation with professional retailers, enterprise engaged in garment and textile accessories and garment factories. We will offer good service and competitive price. 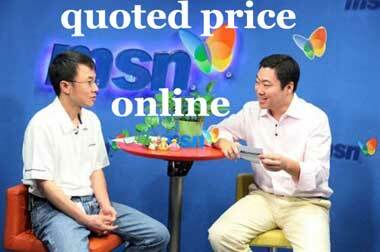 [F].All our quotations are Exworks price without delivery charge, but we can also arrange delivery for our clients by sea or air after got shipping charge. [G]We can supply environmental rhinestones meeting with the standard of American and European Law. Our lead-free rhinestones have got SGS certificate in which lead and cadmium content are less than 1ppm. If you register to be our member and leave your email to us, you will get our latest news, information of new products, the newest pricelist and some article of this industry, etc.